Men are the hardest to gift. Agree? They either want nothing or something really expensive...like a Ferrari, a boat, a Strat or maybe an Audemar. SO if you find yourself stumped for ideas, read on! Dennis is a typical guy. The kind of guy who answers with a smile and "Nothing." when you ask him what they want while secretly hoping you'd have the same reply when it's their turn to shop for you. The kind of guy who hates shopping. The kind of guy who chooses to wear crappy old band shirts instead of designer shirts despite owning quite an enviable handful courtesy of well-meaning relatives. 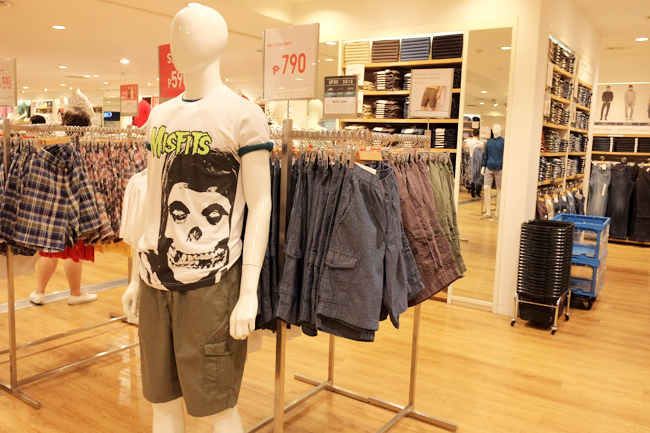 The kind of guy who classifies shorts as casual, jeans as formal. The kind of guy who isn't saccharine but will go to the ends of the world to protect you. That's my Dennis. Equal parts annoying and lovable. Extremely hard to gift. Until now. See the orange shirt up there? 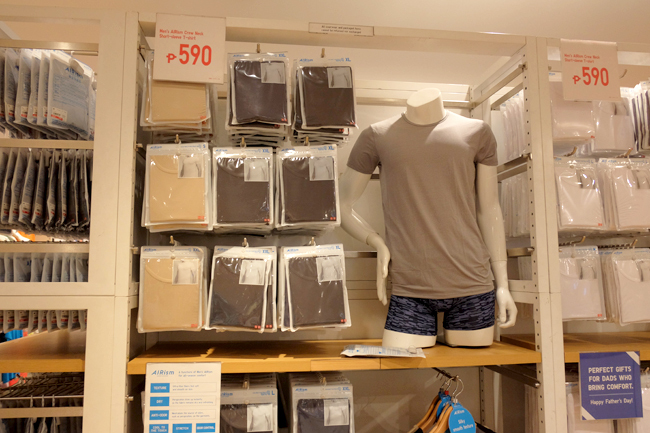 That's one of Uniqlo's Dry Pique Polo Shirts - AND HE BOUGHT THAT ALL BY HIMSELF! That's a big deal. 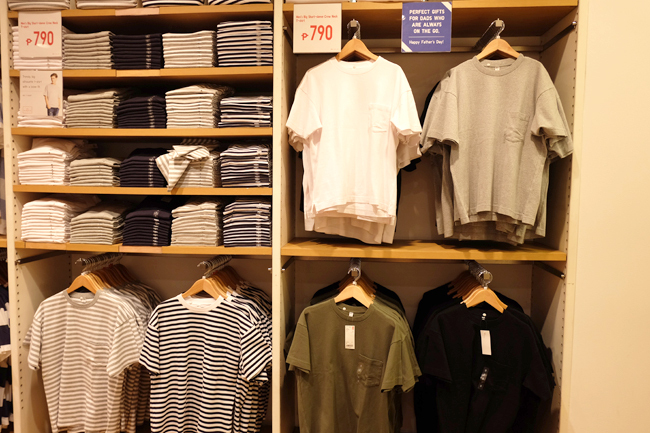 This guy is allergic to spending his own money for clothes. 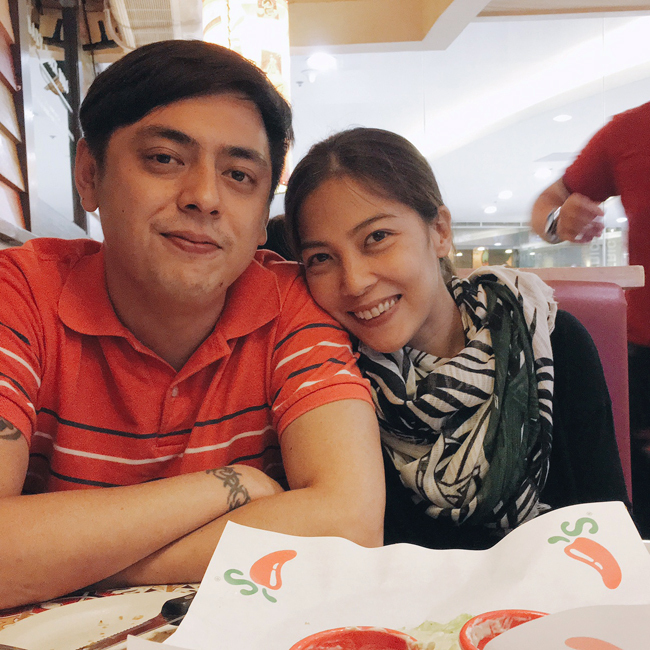 It all started when I made him pasalubong with one. The guy fell in love. He's been buying them weekly in all colors and prints. And now that's pretty much all he has in his closet + jeans and shorts. 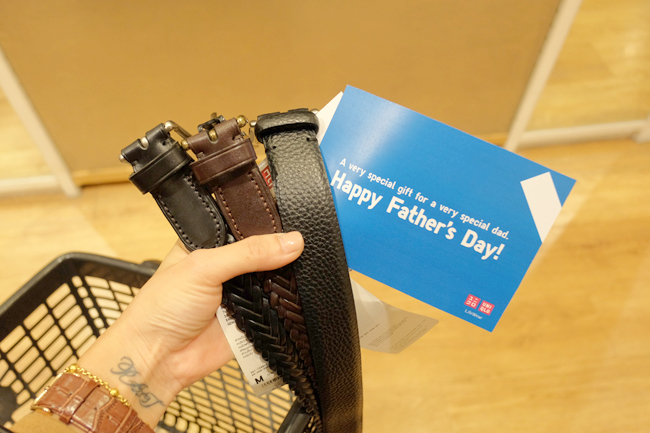 So when Uniqlo contacted me to check out their offerings for Father's Day, it seriously felt like a thorn was removed from my side. 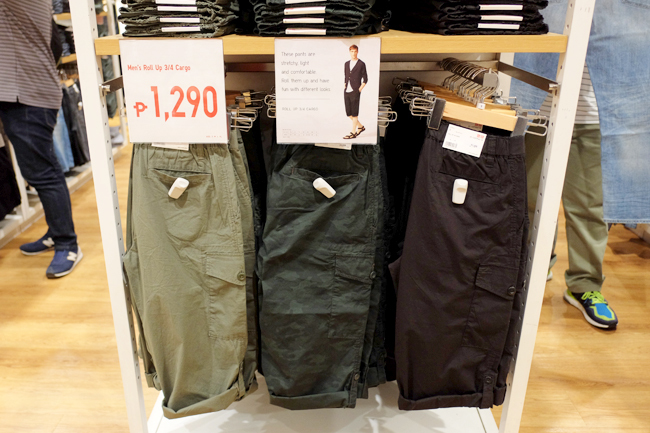 WHAT IS UP WITH GUYS AND UNIQLO? I'll tell you because I know exactly what it is! Classic and masculine cuts with just the right amount of trend injected in to still make the clothes look current while at the same time providing enough room in their shorts to keep them feeling "macho". 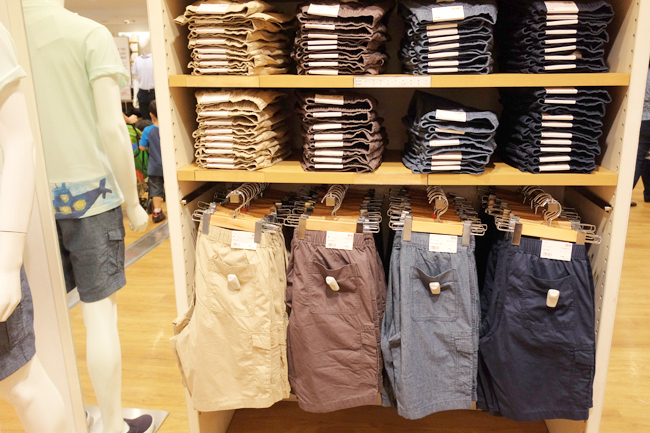 For regular dudes, extra tapered + skinny/slim = extra effeminate. I don't get their logic either but that's how the cookie crumbles. This to them is like what GUCCI 2016 is for us. So read and pay attention. 1. 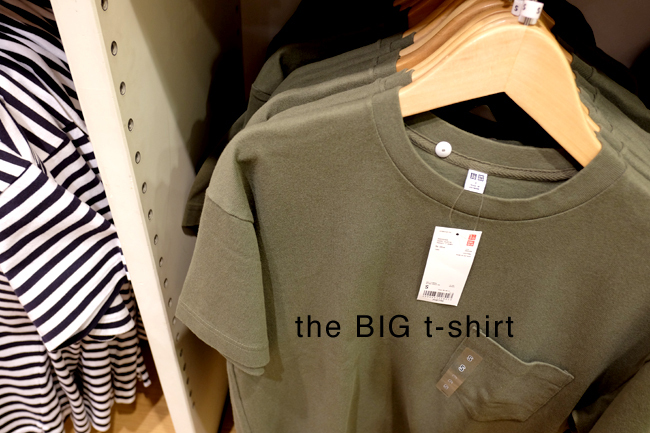 THE BIG SHIRT - only P790 in basic colors that they can mindlessly match with their beloved shorts and still look trendy cause of the slightly updated cut. For the golfers and the more outdoorsy type or the fashion risk-takers (haha) - get these. 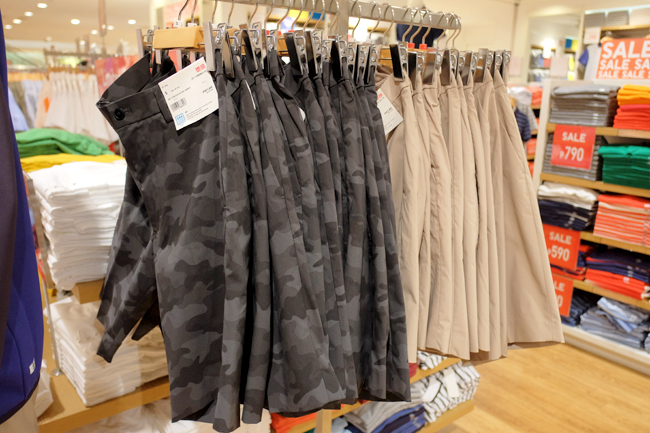 Really nice DRY EX stretch shorts in camo and khaki. They not only keep the sweat away but also the asim stench from sports. 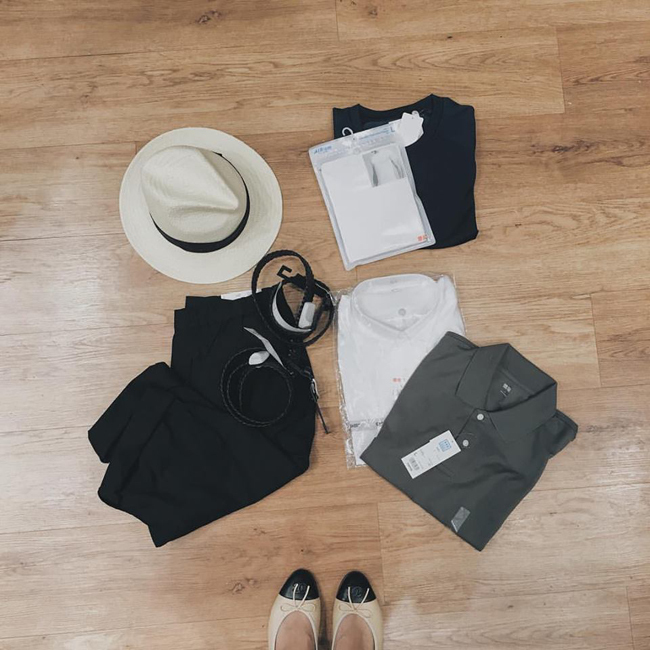 Another must-have in their closet? 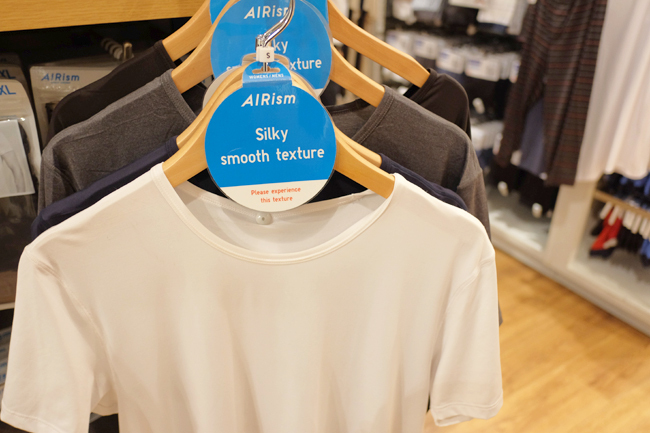 Good undershirts and none can get better than these AirISM tops. Not only are they lightweight, they also keep the wearer fresh and dry. Why? Because they're made of fine Oxford fabric and are WRINKLE-RESISTANT!!!! 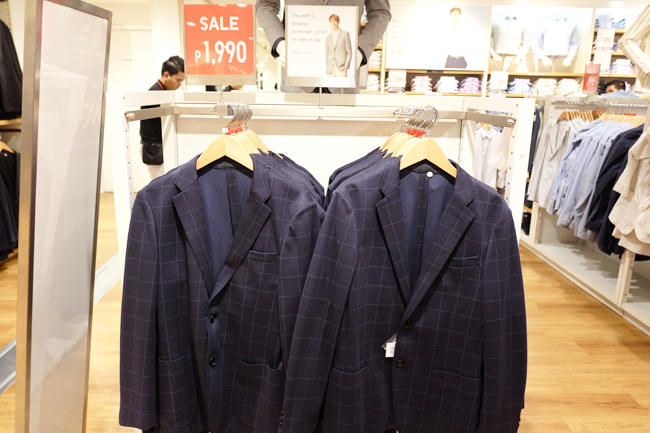 And they only cost about P1290* each. and a Hat...cause I couldn't resist. What did I get me? 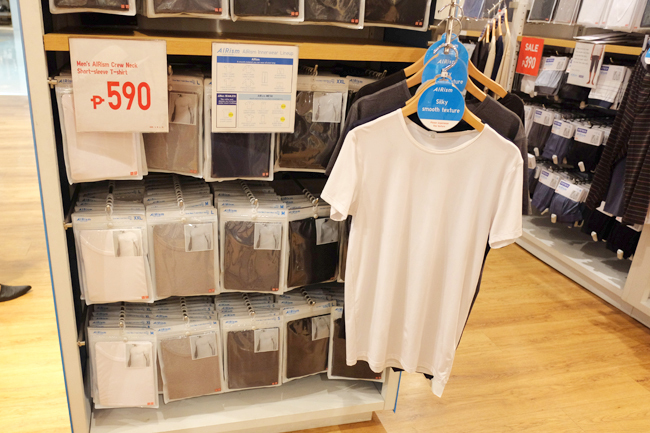 No matter what kind of husband/father you have, I'M SURE HE'LL FIND SOMETHING (s) TO LOVE FROM UNIQLO. So save yourself the headache and head to a branch nearest you while they still have sizes in stock.